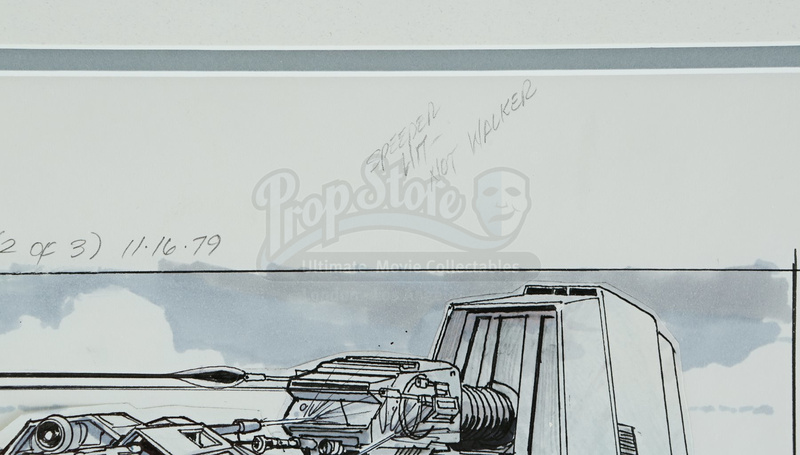 A pair of hand-drawn Imperial walker (AT-AT) storyboards from Irvin Kershner’s Star Wars: The Empire Strikes Back. 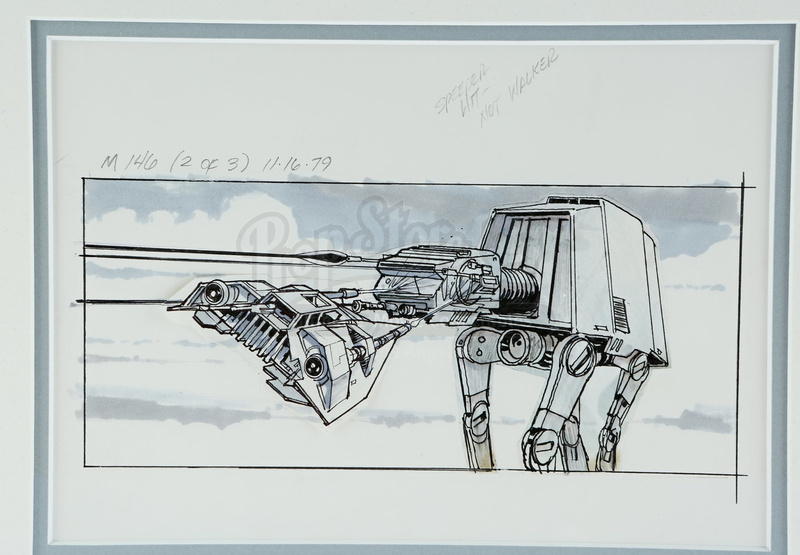 Illustrated by Industrial Light & Magic artist Dave Carson using pen and marker on paper, the first storyboard is labelled “M146 (2 of 3)”, dated “11-16-79”, and shows a rebel snowspeeder firing on an AT-AT at close range during the Battle of Hoth. 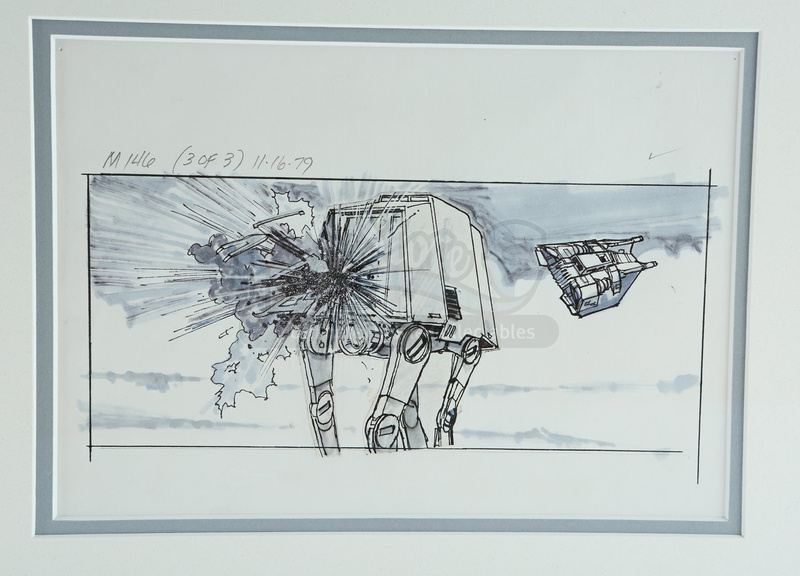 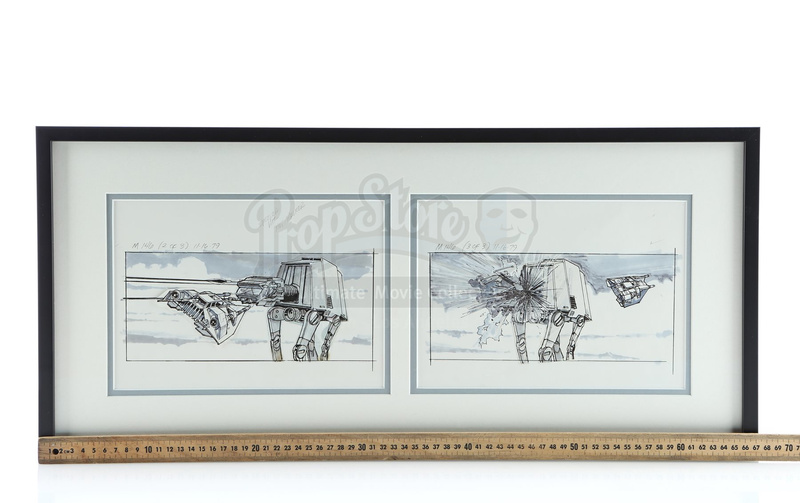 The second storyboard is labelled “M146 (3 of 3)”, dated “11-16-79”, and shows the same rebel snowspeeder flying off to the right of the AT-AT it has just attacked. 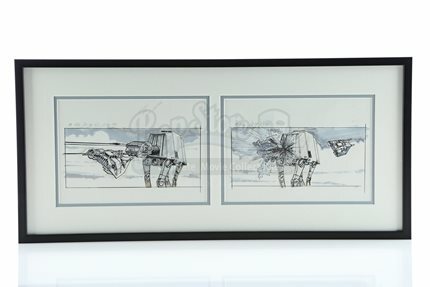 Please note this lot is sold without copyright, reproduction rights, licencing agreements or any other type of legal releases.